In addition to teaching, research and associated university administration, public engagement is an important part of my role as a researcher and educator—and also lots of fun! 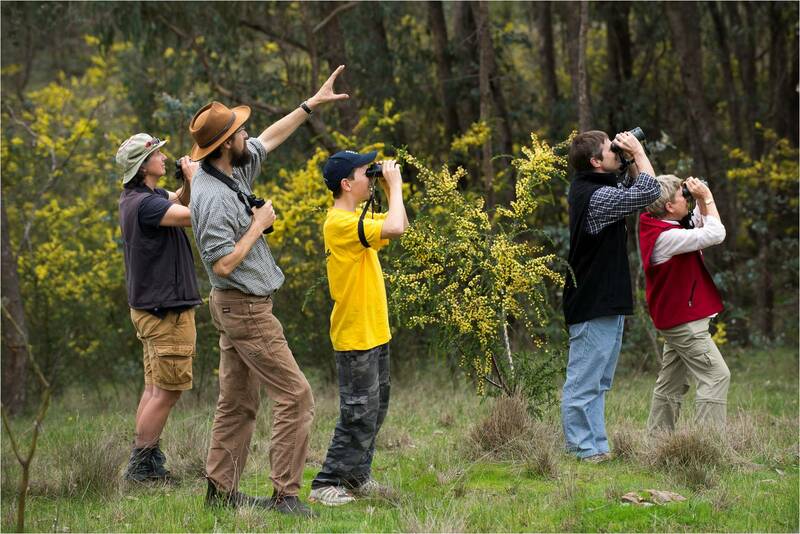 As Dr Dave (my flannel shirt wearing, binocular-toting alter ego) I am the face of biodiversity education for the Murray Darling Basin Authority, presenting a series of short videos about biodiversity. As a founding member of the Slopes to Summit partnership, one of the original regional hubs of the continental-scale Great Eastern Ranges Initiative, I’ve helped out with Bioblitzes and a range of field days and workshops. I give many talks–to school children, groups of people interested in birds or plants, scientific colleagues and also the general public. I was featured in an Envirostory written by students at Thurgoona Public School: Dr Dave Enviro Legend. With funding support from the Bjarne K Dahl Trust, I acted as executive producer and presenter of a flim exploring our connection with Eucalypts. Called Snow Gums to River Reds, the film showcases a diverse range of responses to the question: “What do you see when you see a gum tree?” featuring Eucalyptus species from Mount Kosciuszko to the Murray River around Albury, in New South Wales, Australia. The film has been produced by the Slopes2Summit (S2S) conservation partnership and Mosquito Productions and was completed in November 2012.